On Saturday, August 14 at Hunters Valley Winery - It's "The Great PA Wine Toast"! PA wineries across the state will try to set a world record for the world's largest wine tasting. From 2 to 4 pm, Hunters Valley Winery will have special music and great cheeses to go with your wine. Then, at 4 pm, Mario Andretti will deliver the toast via video. Read more about this fun event which will benefit Children and Youth services. 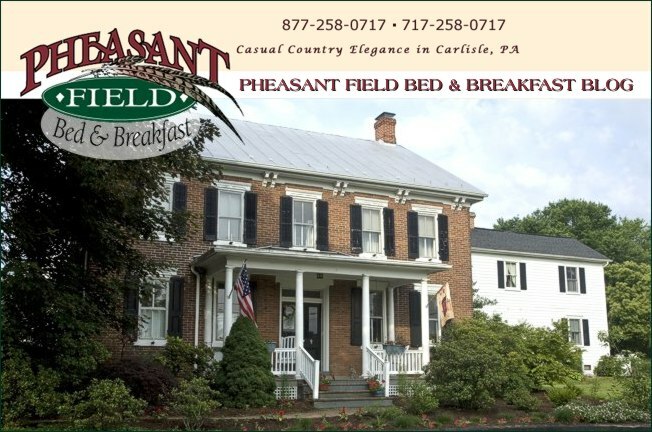 Pheasant Field B&B features Hunters Valley Winery in some special packages. What fun to have one of our tourism partners participating in this world record event!